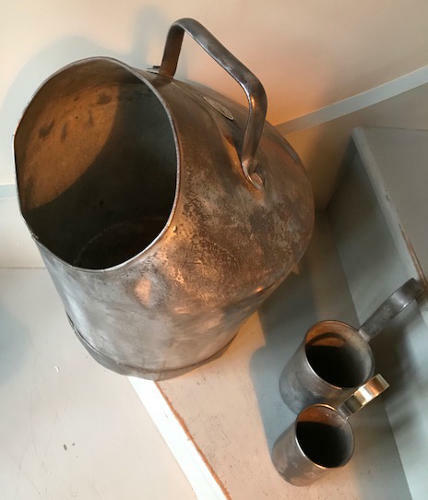 Vintage Steel Lister Milking Pail with maker's brass label. Anti tip over design with carrying and easy pouring handles. Ideal to use as display piece or as coal bucket etc. Slight split to front edge but not noticeable at all if milk ladels hung.